This is one tough cutter! 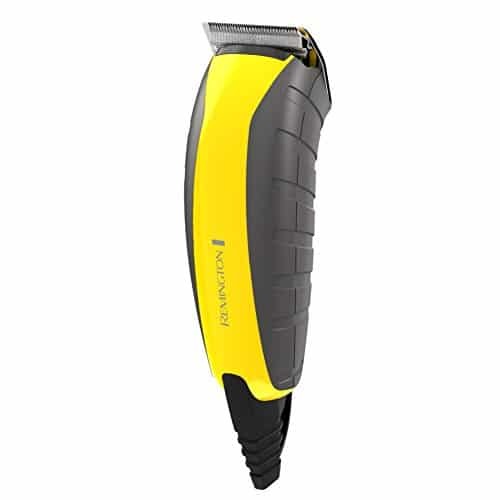 The Remington Virtually Indestructible Barbershop Clipper is built to last, featuring a high-impact casing that protects the powerful interior. 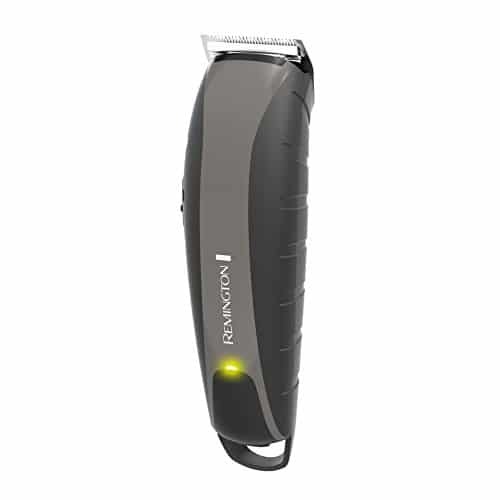 This cordless clipper runs on lithium power, with 60 minutes of runtime for a super torque motor that provides consistent cutting performance. The exclusive POWERCUT Blade System with precision ground blades cuts through even the thickest hair with ease, and it’s removable so cleanup is a breeze. Plus, this 20-piece kit has everything you need for a great haircut at home, with 11 length-adjusting combs, a barber cape and scissors, and oil to keep the blades in top shape. This is the total package for at-home haircuts with professional-style results. 20-Piece Kit – Cut, style, clean, and protect. This Virtually Indestructible clipper comes with length-adjusting combs, a barber cape and scissors, and a whole lot more. Cordless with Lithium Power – The freedom of cordless with the reliable power of lithium. POWERCUT Blade System – Our exclusive system keeps the blades in proper alignment for a smooth, even cut. You can even swap out the blade for other attachments like the Balder Blade or the T-Blade. Super Torque Motor – The 3.6V motor drives maximum power to the cutting system for 2x faster cutting performance compared to previous Remington models. Precision Ground Blades – The expertly ground blade edges provide the ultimate haircut experience as they cut through even the thickest hair with ease. 15-Piece Kit – Cut, style, and protect. This Virtually Indestructible clipper comes with length-adjusting combs, a beard brush and styling comb, and oil for the blades. 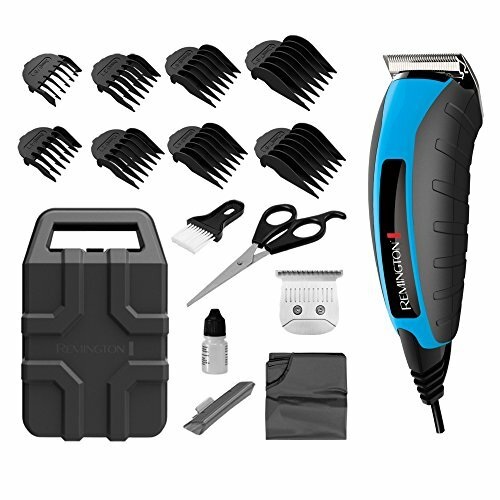 Super Magnet Motor – The super torque motor drives maximum power to the cutting system for 2x faster cutting performance than top-selling Wahl corded clippers. Easy to Clean – The removable blade system is safe to wash under running water, making cleanup fast and easy.